Shares in Catalyst Pharmaceuticals plummeted Monday, after US Senator Bernie Sanders sent the firm a letter asking them to justify their decision to charge $375,000 a year for a medication that had previously been available for free. 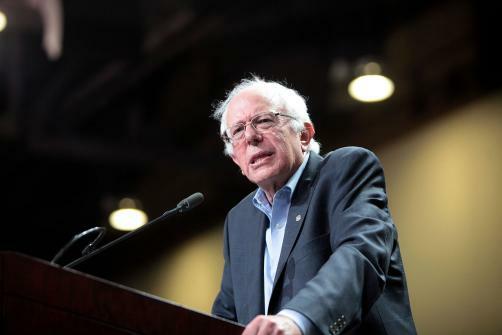 Sanders questioned the company over the price of Firdapse, a drug the company makes for Lambert-Eaton Myasthenic Syndrome (LEMS). LEMS is a rare neuromuscular which affects around one in 100,000 people in the United States. Sanders sent the firm a letter which he made available to news agency Reuters. The letter asked Catalyst to justify its pricing practices as it posed the question as to how many people would suffer and die as a result of the company’s actions. Sanders also asked the firm to reveal how much it costs to produce the drug. Shares in Catalyst fell by nearly 8% on announcement of the news. “Catalyst’s decision to set the annual list price at $375,000 is not only a blatant fleecing of American taxpayers, but is also an immoral exploitation of patients who need this medication,” the letter says. Previously, patients had been eligible to receive the drug for free, from New Jersey-based firm Jacobus Pharmaceuticals, which made the therapy available through an FDA programme called “compassionate use”. The programme allows patients to receive experimental drugs for free. Florida-based Catalyst gained FDA approval for Firdapse in November of last year along with exclusive rights to market the drug. In December, Catalyst announced the drug would cost $375,000 a year.